A vegetarian option for a full meal for your baby. Just gently heat up the jar in a water bath, add 2 teaspoons of the Holle Organic Weaning Oil, stir, check temperature and happy feeding time! 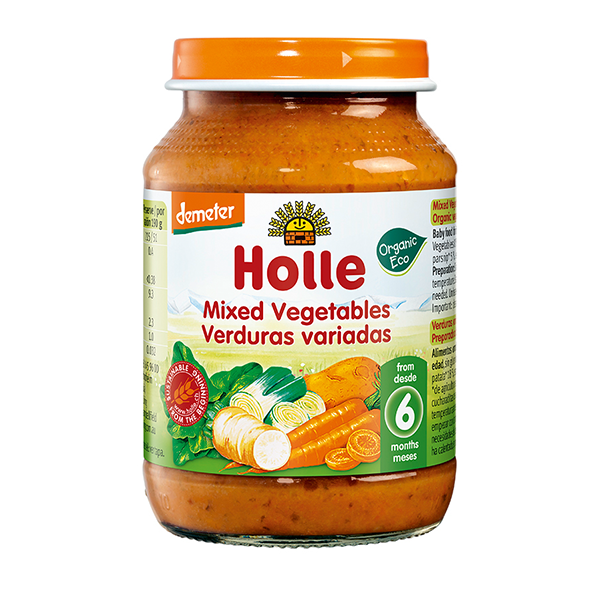 To increase the availability of essential fatty acids we recommend fortifying with 2 teaspoons Holle Organic Weaning Oil, stir and slowly heat in water bath. Check feeding temperature. Vegetables 77%: carrot** 51%, potato** 16%, leek** 8%, spinach* 4%, parsnip** 4%, water.